FBI Received A Tip Last Month About Florida Shooting Suspect — But Nothing Was Done : The Two-Way The caller specifically mentioned the potential for Nikolas Cruz to carry out a school shooting, but the FBI never investigated. President Trump didn't comment about it on a trip to Florida Friday. FBI Director Christopher Wray attends the International Conference on Cyber Security on Jan. 9. The FBI says that someone called its tip line to report concerns about Nikolas Cruz, who has told police he killed 17 people in Parkland, Fla. But the bureau failed to follow protocols to assess the threat. The bureau says a person close to Cruz contacted the FBI's Public Access Line on Jan. 5 to report concerns about him. Those concerns included information about Cruz's gun ownership, a desire to kill people, erratic behavior and disturbing social media posts. The information wasn't sent to the Miami office, and the FBI did not investigate. More than five weeks after the FBI received the tip, 14 students and three staff members were killed at Marjory Stoneman Douglas High School. 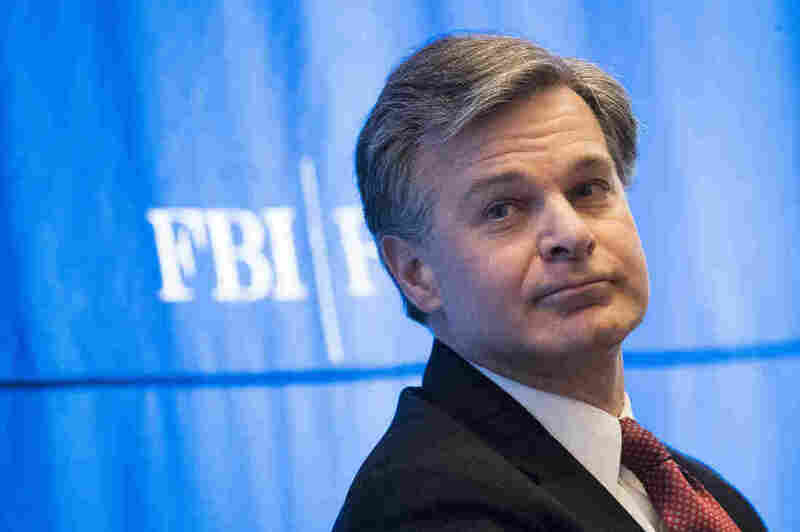 "We are still investigating the facts," FBI Director Christopher Wray said in a statement. "I am committed to getting to the bottom of what happened in this particular matter, as well as reviewing our processes for responding to information that we receive from the public. It's up to all Americans to be vigilant, and when members of the public contact us with concerns, we must act properly and quickly. "We have spoken with victims and families, and deeply regret the additional pain this causes all those affected by this horrific tragedy," Wray added. "All of the men and women of the FBI are dedicated to keeping the American people safe, and are relentlessly committed to improving all that we do and how we do it." President Trump did not address the controversy during a trip to Florida on Friday to meet with two of the victims of the shootings, a boy and a girl, and with first responders. At the Broward Health North hospital, Trump made brief remarks to reporters, congratulating the doctors and noting the speed with which the first responders had delivered victims to the hospital. The president appeared to ignore a question about whether the nation's gun laws need to be changed as he left the room. Trump also stopped at the sheriff's office and met with law enforcement, including the officer who arrested the suspect. Florida Gov. Rick Scott is calling for Wray to resign over the matter. "Seventeen innocent people are dead and acknowledging a mistake isn't going to cut it," Scott said in a statement Friday. "We constantly promote 'see something, say something,' and a courageous person did just that to the FBI. And the FBI failed to act. 'See something, say something' is an incredibly important tool and people must have confidence in the follow through from law enforcement." On Friday afternoon, the Justice Department was also critical of the FBI's handling of the tip. "It is now clear that the warning signs were there and tips to the FBI were missed," Attorney General Jeff Sessions said in a statement. "We see the tragic consequences of those failures." Sessions said that he has ordered Deputy Attorney General Rod Rosenstein to review how the Justice Department and FBI process and respond to indications of potential violence. Broward County Sheriff Scott Israel said in a press conference Friday that his office had received approximately 20 calls about Cruz. He said the calls for service were "assorted," with some coming from callers in other states. His deputies did not necessarily go out and respond to each of the calls, he explained. Israel said that acting on the tip the FBI received would not necessarily have averted the shooting. "We still want to encourage our community to 'see something, say something,' " he said. Robert Lasky, FBI special agent in charge of the Miami Division, said the potential of the FBI to miss something "is always there." "We do our best," Lasky said, and the bureau has protocols to prevent this sort of thing from happening. "We will be looking into where and how ... the protocol broke down. And we will come back stronger than we ever were before." A previous version of this story said the FBI received a tip regarding Nikolas Cruz on Jan. 8. The tip was actually received on Jan. 5.